Well, more like Return of the Retired, or Dawn of the Dismissed, or whatever. Your attention’s been grabbed (hopefully). Last Thursday, Kommersant’s Ivan Safronov reported the Defense Ministry will bring 4,011 ex-general officers back as civilian advisers and consultants, primarily in military districts (unified strategic commands — OSKs) and large operational-tactical formations (armies). The idea, apparently, is for today’s top commanders to benefit from the experience of their predecessors. Safronov’s report is based on claims from a source in Defense Minister Serdyukov’s apparat, his immediate staff. The plan to deploy retired generals as advisers got Serdyukov’s approval on January 20. The former higher officers will also work as scientific associates in VVUZy and in military commissariats. Kommersant’s source said these men generally have advanced education and a wealth of combat troop and administrative experience to share with today’s commanders. 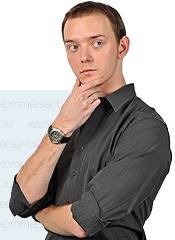 According to Safronov’s source, it remains only to determine what to pay the returning generals. Who knows if any of this will actually happen? But if it does, it’s another walk back on a key plank of military reform. Remember the walk back on keeping 220,000 rather than only 150,000 officers? In late 2009, General Staff Chief Nikolay Makarov said the Defense Ministry had cut 420 of 1,200 generals in the Armed Forces. With current manning, the remaining 780 generals are enough for a relatively high 1-to-1,000 ratio to other personnel. So they’ll be digging deep for 4,011 former generals. Who and what will they find? So either Serdyukov’s shift to a new, younger, and more junior generation of military leaders isn’t working out, or there’s some other reason for bringing the older dudes back. One obvious possibility would be to keep them from being openly and publicly critical of Putin’s regime and Serdyukov’s Defense Ministry on the eve of the presidential election. Maybe some can be bought for a small supplement to their pensions. A couple things are more certain. If the old generals arrive, their former subordinates — now in charge — probably won’t like having them around. The old guys probably won’t enjoy it much either. And the whole scheme may not even get off the ground, or last very long if it does. Well, mostly empty. To its credit, Defense Ministry daily Krasnaya zvezda has tackled the issue of why Russian servicemen aren’t racing to take ownership and occupy permanent apartments offered to them. 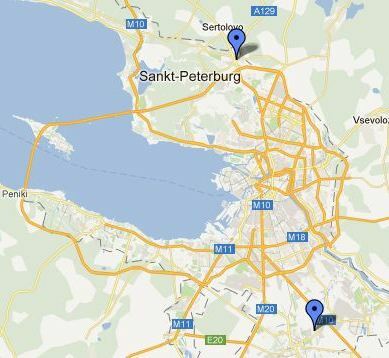 KZ looked at two major military housing projects outside St. Petersburg — Slavyanka and Osinovaya Roshcha — which between them have over 100 buildings and almost 9,000 apartments. The paper says only 40 percent of these apartments have been accepted, and only 20 percent occupied. Slavyanka’s construction was complete one year ago, but its streets are empty and one very rarely sees pedestrians. Its school just opened, but residents are still waiting for day care and have to drive preschool children elsewhere. The builders claim there are relatively few defects, and they are repaired quickly. Osinovaya Roshcha was built on Defense Ministry land — a former military town, and its apartments were turned over about six months ago. 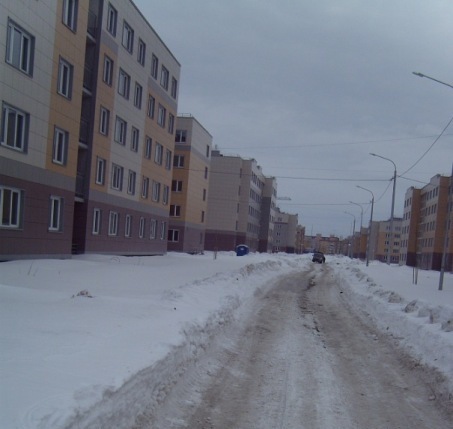 Like Slavyanka, the dwellings in this development don’t suffer from too many problems. 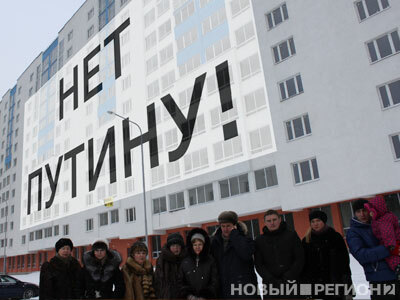 KZ says now on average about 150 apartments are being accepted every week in Slavyanka and Osinovaya Roshcha. But this is still a slow pace. Servicemen aren’t in a hurry to relocate because of the undeveloped infrastructure in both locations. There is no walking access to grocery stores, pharmacies, post offices, or bank branches. The nonresidential first floors of buildings haven’t been sold or leased to businesses. Neither the developer nor rayon administration can make arrangements for these commercial spaces because the property belongs to the Defense Ministry. In Osinovaya Roshcha, it’s already clear there will be a major parking problem once the mikrorayon is fully settled. Some parking was planned but hasn’t been built. Also, the area depends on narrow two-lane Priozerskoye shosse as a main road. KZ says the biggest headache in Osinovaya Roshcha, however, are nonworking elevators. Some buildings are 17 stories, and current residents can count on having an operational elevator only one day per week. The paper describes a Catch-22. People don’t move in because elevators aren’t working, but there aren’t enough residents there to pay communal fees to cover the work of crews who fix the elevators. The wait for day care centers keeps many families from moving. They are supposed to open this month in Osinovaya Roshcha. Older kids go to school in two shifts at an old building while they wait for a new one. All in all, Internet photos seem to support KZ’s description of Slavyanka and Osinovaya Roshcha as generally well-constructed, livable communities. This blog completed its second year yesterday. There were 288 posts in year two (a few less than last year). Just a couple to go to reach 600 posts since December 10, 2009. One hopes the reading was half as worthwhile as the writing. But frustration lingers. It’s impossible to follow everything. Adding Twitter provided a “release valve” for overflowing news. Still there’s tension between posting short items and writing more detailed pieces drawing together many different sources. 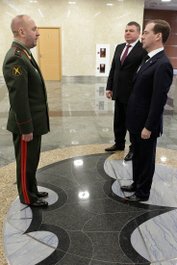 In 2011, Defense Minister Anatoliy Serdyukov and General Staff Chief Nikolay Makarov had plenty of interviews, official appearances, and other public utterances to cover. There were a large number of high-level personnel changes, retirements, and dismissals to report. Serdyukov eased a little on cutting the officer corps. The Defense Ministry readied its new higher pay system while scandal plagued the stopgap premium pay scheme. Military housing remained a major headache as always. Moscow hit a wall on manpower and had to accept undermanning. After acknowledging there aren’t enough potential draftees, the military is starting over (yet again) with an effort to create professional enlisted and NCOs through contract service. This year began with questions about the GPV’s feasibility, but devolved into immediate problems with GOZ-2011. The Russians threw money at the OPK without looking at the defense sector’s (and the procurement bureaucracy’s) capability to turn financing into the kind of weapons and equipment the military requires. Difficulties ramping up production of naval and missile systems occupied media attention. The public debate over the relative merits of buying Russian or foreign weapons made several headlines. So where is Russia’s military? To this observer, the Russian Armed Forces are improving and beginning serious rearmament. But the hour is late. Significant future problems could derail recent positive changes. These include new and old, unsolved economic, budgetary, social, demographic, and possibly even political challenges. Not to mention purely military obstacles to modernizing the army and navy. Your visits and page views grew significantly in year two. Page views are about 400 a day, 2,000+ a week, and 9,000-10,000 a month. We’ll see if this is the ceiling for this rather specialized topic. Your views, opinions, and arguments are always appreciated. Those sharing or highlighting data and evidence on issues are particularly valuable.